The Instinctual Variant Questionnaire (IVQ v2.0), is the first online test to measure our three basic instinctual intelligences: the Self-preservation, Social, and Sexual (Attraction) Instincts. It is a forced-choice psychological test with 37 sets of 3 statements each. In each set of statements, you are to choose one statement that is most like you and another which is least like you. The test will then determine your "Instinctual Stack," or the Three Instincts ordered from your most developed Instinct to your least developed Instinct. The IVQ takes about 15 minutes to complete. The IVQ results are emailed to you in a PDF format and include your scores for all Three Instincts, as well as general information about the Instinctual Variants. The Instincts may be explored separately from Enneagram type, and knowledge of your primary type does not affect your IVQ score. 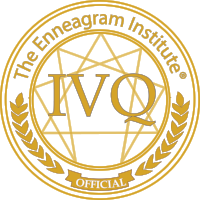 If you already know and enter your primary Enneagram type at the end of the IVQ, you will receive brief bonus content about the Instinctual Variants for your specific type. If you are still exploring your primary Enneagram type, you may wish to take the Riso-Hudson Enneagram Type Indicator (RHETI v2.5).